Email agent about 22 Forster Street, INVERMAY TAS 7248. 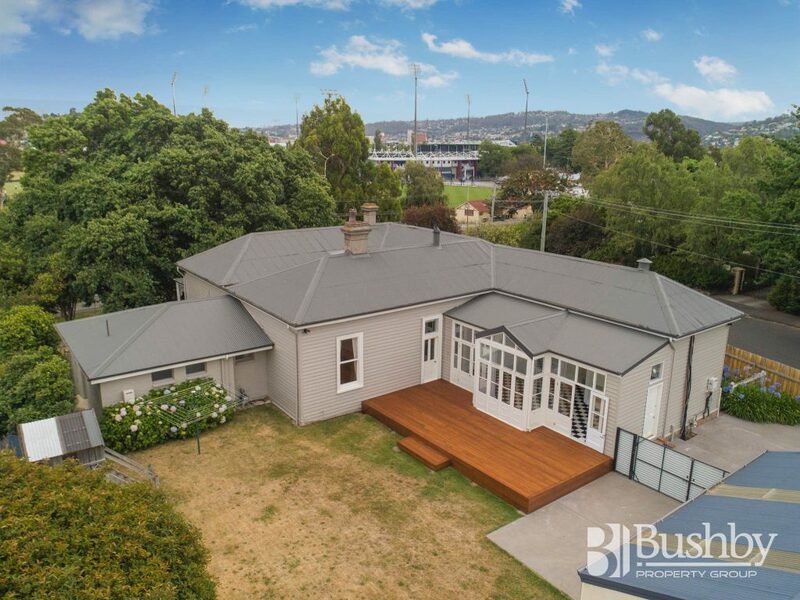 Have you ever imagined your family living in a grand, renovated c1880 home situated on a large 2363m2 corner block within walking distance to the Launceston CBD? If so, your future may well lie in ‘Valvenie’. This magnificent Invermay homestead was built by Mr Daniel Room and ‘Valvenie’, believed to be of Welsh descent meaning ‘on the hill’ is a wonderful representation of a bygone era. Marvel at the soaring 13ft ceilings boasting intricate ceiling roses, decorative plaster cornices, ornate fireplace mantles and hearths, stunning timberwork and traditional light fittings distinct to the Victorian period style. Boasting four generously proportioned bedrooms and three bathrooms (two of which are en-suites), the home has undergone considerable refurbishment including weatherboard replacement, internal and external painting, new rear timber deck, updated wiring and plumbing, insulation, new concrete driveway, fencing, ducted heating and new kitchen benches and tiling. Attractive window coverings, pelmets and blinds have also been installed along with new floor coverings in many rooms. Enjoy the benefits of natural gas from the mains for cooking, hot water and heating via a fully ducted Temperzone heat-pump system. With a massive, light filled kitchen and dining area, the chef of the house will relish the Falcon double oven, commercial exhaust and abundant bench and storage space. From here, take in the lovely views through French doors and windows that lead to the sunny deck and private, fully fenced rear yard, a perfect spot to keep an eye on the children. Oversized French doors feature throughout and lead to the adjoining living area with original Tasmanian oak polished floorboards. Across the wide and impressive hallway is the elegant formal lounge, featuring a fully operational open fire place, leadlight windows and gorgeous floor to ceiling casement windows that open onto a covered balcony overlooking the century old Oak tree. The second of four bedrooms lends itself perfectly to guest quarters, featuring an adjoining ensuite whilst the main bathroom at the end of the hallway boasts a stunning cast iron claw foot bath with brass fittings along with a period style vanity. To complete this massive package there is a large garage and off street parking for a further four vehicles. 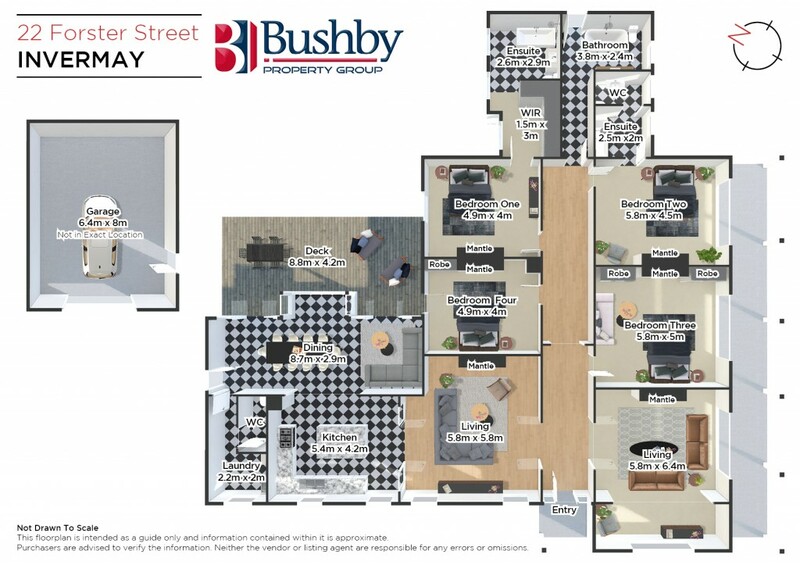 All of this within walking distance to the Launceston CBD, Inveresk Precinct and UTAS Stadium. This property would make a wonderful family home or possibly run as an Air BnB or Guesthouse. An inspection is a definite must to appreciate all of the features this impressive home has on offer.